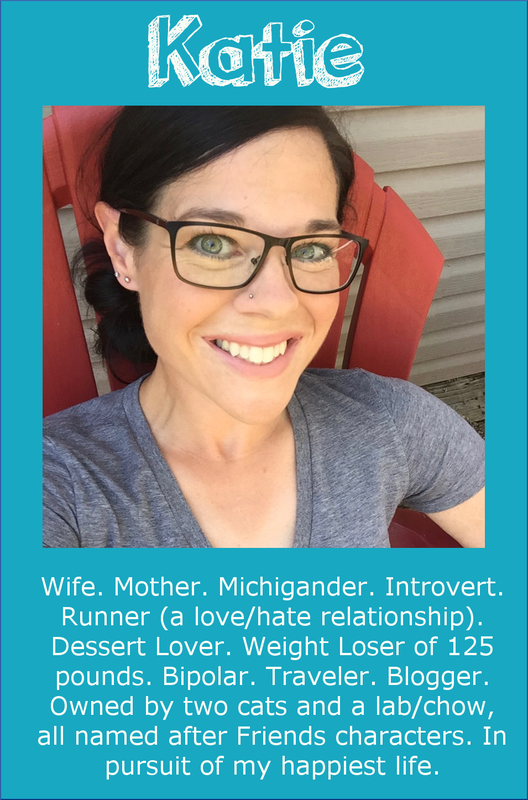 Runs for Cookies: Noah's a runner! For the past couple of days, I've been consumed with reading a book that I impulsively downloaded from the library to my Kindle. It's called Dark Places, by Gillian Flynn. I read her book Gone Girl a while ago, and I really liked it, so I wanted to try another of her books. I love the way she writes from different characters points of view. Each chapter gets really interesting, and then suddenly it switches to a different person's point of view, and I get hooked on their storyline. It makes me not want to put the book down! I was reading Wild by Cheryl Strayed, but after reading a page or two at a time for a couple of months, I finally gave up on it. I wanted to like it, especially because it was recently turned into a movie, but I just couldn't get into it. I like books that are suspenseful, because then I want to keep reading, and they're hard to put down. Anyway, Jerry was off work yesterday, and we decided to go for a run together. We got the kids off to school in the morning, and then got ready to run. We planned to go to the State Park to run four miles, but halfway there, Jerry suggested going to the Metropark instead. It's a little farther away, but I liked the idea, so we went there to do an out-and-back four-miler. Usually when I run with Jerry, we end up going pretty slowly, because we talk a lot. We hit the first mile in 10:07, so I suggested we try to get negative splits (faster each mile). 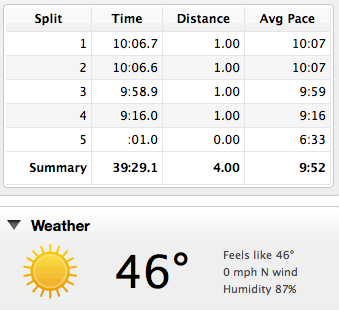 The second mile felt really hard to me for some reason (a lot of it was in the sun), and the third wasn't much better. But I felt really good during the last mile. When I looked at our splits, I saw that our second mile was just 1/10th of a SECOND faster than the first... but we'd managed negative splits! Yes, that's right--46 degrees! I actually wore a long-sleeved shirt to run in. With the full sun, though, it wasn't as cold as I'd expected, and I wished I'd worn short sleeves by mile two. It was nice to run with Jerry, though. It's been a while since we were able to. Noah had cross country practice in the afternoon, so we went to watch. (I'm the only parent that actually goes and watches practice--so it may be weird, but I like to see how Noah's doing!) As soon as we got there, we saw Noah was running with the coach, and he looked really upset. He came over to the fence to get the Gatorade we brought him, and he was crying. I asked him what was wrong, and he said that a group of girls were making fun of him because he's a slow runner. I stayed calm, but inside, I was pissed--I wanted to find out who they were and get all "bitchy mom" on them. Noah is a slow runner, usually last in the group, but he never felt ashamed of that until yesterday when the girls teased him for it. I had told him when he joined the team that it doesn't matter how fast or slow he goes, that he should just do his best and try to improve HIMSELF, and not worry about what anyone else does. He didn't try to quit or anything when we got there, thankfully. I didn't want him to cry, because that would certainly make the teasing worse, so I just gave him a quick pep talk and he kept going. There was a boy that stuck with him the whole time, which made me glad that Noah had someone to run with (the reason he joined was to make some friends and become a better runner). They had to do a 1.2 mile run, and the two of them finished last, but they ran the entire distance (a lot of the kids would sprint, then walk, then sprint... because they didn't know how to pace themselves). I was SO proud of Noah for running the entire way, because when we did the 5K, he was only running one minute at a time (run one, walk one, over and and over). He didn't have practice today, so I decided to pick him up from school and take him to the State Park to go for a short run. There's a small loop there that I guessed to be about a mile around, so I figured we could do that once. I told him that he could run at whatever pace he wanted, and I would just go along for the company. I was so impressed that he didn't end up taking any walk breaks! He's improved so much since the 5K's we did over the summer. During his first 5K, his mile time was about 13:45-14:00 on average. Today, his first mile was 13:07. The loop ended up being longer than I thought--1.56 miles--and the 0.56 part of the run was a pace of 11:57. So he overall average pace for 1.56 miles was 12:42. A big improvement! Whoops! iPad freeze. Noah, you're doing great! 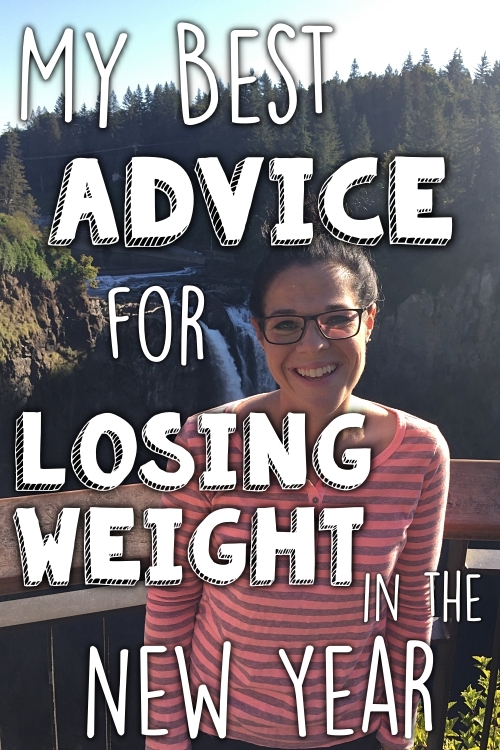 Learning to pace yourself is tough and you already seem to have that sense, intuitively! What a great picture of you and Noah! He has improved so much! I hope he is proud of himself! I'm sorry those girls were mean to him but how awesome that he stayed and ran 1.2 miles! Tell him to say "it doesn't matter how fast I'm running I'm still lapping everybody on the couch! So..." Oh, I was going to write some not so nice things after that. ;-) Those are great strides he's making! So proud of him! You go Noah, you're getting faster all the time! Go Noah! I think it's awesome that he has improved so much and is sticking with after the teasing. He should be very proud of himself! His pace is better than mine when I started running again. Great job Noah! And great job Katie!! I would have had such a tough time not bitching out those girls. 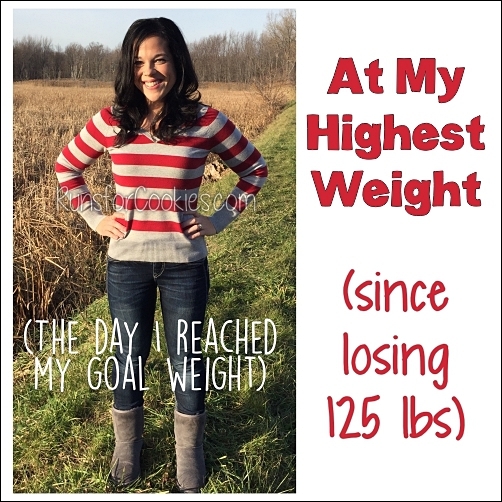 Hi, I found your blog a couple of days ago - what a strong story! And what a fighter you are! Thanks for the motivation and keep running. You tell that Mr. Noah he is an awesome runner! Secretly, I always revel in the fact that I may be a slower runner, but I don't stop for walk breaks, so tell him he can be hugely proud of the fact that he runs the full distances. :) My daughter joined cross country for the first time this year and she is also one of the last to finish, but she has improved each week and her coach is great to encourage that. Like you said, it's all about the improvement. I liked Dark Places more than I liked Gone Girl I think! Glad you are enjoying it! Go Noah! That's awesome and he should be proud that he ran the whole thing! Middle-school aged kids are the meanest! Those girls! I just want to kick their little rear ends. I'm so glad Noah continues to run, and is improving. That says so much about who he is. 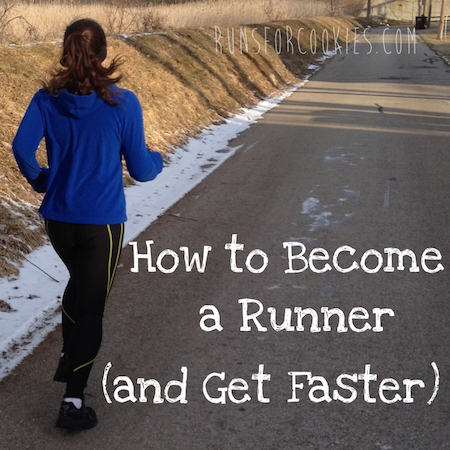 He's not a quitter, and let's face it....Running is very HARD! Way to go Noah! I'm tempted to download both "Gone Girl" and "Dark Places" on my Kindle. They are advertising the movie, "Gone Girl," on TV right now, it looks really good. Right now I'm reading "Refuse to Regain," by Dr. Barbara Berkeley. I usually don't like those kinds of books, it's full of science and facts, but it really hits me where I live, and I find it motivational. 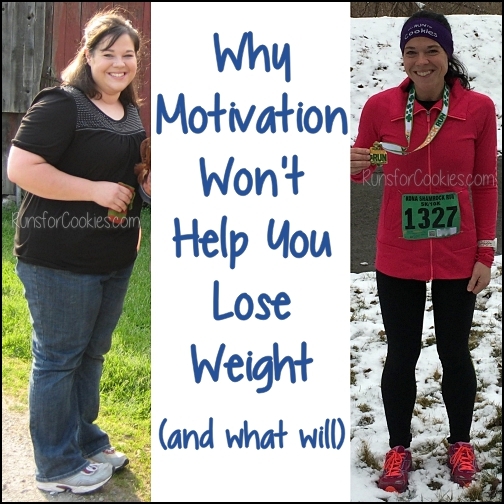 I can always use more motivation to keep the pounds gone. WTG Noah! Any kid that willingly wants to run is awesome in my book. I'm sure the more he keeps at it the more his time will improve. He'll be blowing the doors off those nasty kids in no time. I love Gillian Flynn! I haven't read Gone Girl yet, saving that for our November Cruise. I have read Dark Places and Sharp Objects, but were very good. I'm excited to read Gone Girl!!! Keep up the great work, I read your blog almost daily, thank you for the motivation!! 10 years ago I lost a ton of weight, getting down to a teeny tiny 115lbs. Since then, I lost track here and there leading to a huge gain. I was 190ish at my wedding last November, not a proud moment for me, lol. I recommitted myself to having a lifestyle that I'm proud of. I'm down 15lbs so far with 25 more to go, my goal is to get back to 135-150 range. 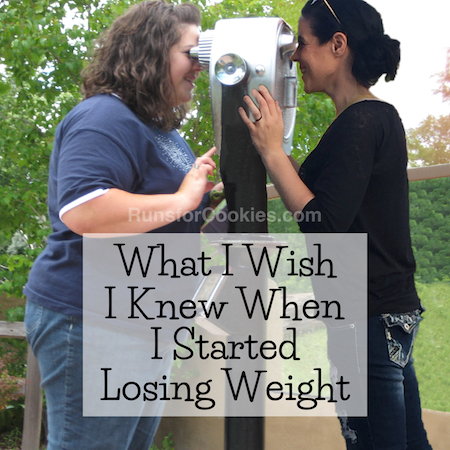 Your blog definitely helps get me back on track. Yeah Noah! You go dude! This is so heartwarming to read. Recently during my runs I've been thinking how I wish I had ran in school. . . maybe even been on a track/ cross country team. I often wonder how if I had been interested at an earlier age, what would I be like now? I wasn't inactive in school, but with how I've stuck with running as an adult I wonder what it would have been like to start it earlier. Maybe I'd be faster? Skinnier? A more correct, natural runner? Who knows! I love seeing Noah going out there and getting better. Tell him way to go!